What method of payment are accepted by UrbanPup.com? 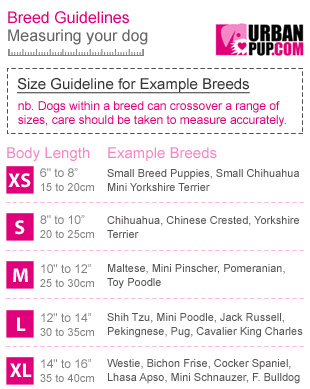 Registering with UrbanPup.com helps make the ordering process as quick and easy as possible and allows you to keep track of your orders online. Though you can checkout without registering by clicking the 'Express Checkout' option. Your details are not shared with any third parties. You will receive a newsletter only by UrbanPup if placing an order. The newsletter is opt-out and you can be removed from the UrbanPup mailing list at any time by contacting us, updating your email preferences in your account login or by clicking the remove link on the newsletter email from UrbanPup. UrbanPup.com accepts: American Express, Visa, Visa Electron, Maestro / Switch, MasterCard and Solo. PayPal and Google Checkout. When you reach the final billing stage and press ‘Pay Now’ UrbanPup.com will immediately contact your bank / card issuer for authorisation to take payment from your account. If the payment is authorised you will receive an e-mail within a few minutes confirming your order and a payment will be taken from your account. No credit or debit card details are stored once your order has been processed. This is why you can save your preferred delivery address but need to enter your card details each time you order. We aim to dispatch your order the same or next working day, and delivered to you within 1-3 working days for the UK, 2-5 days for mainland Europe and 5-7 days for the rest of the World. Though please allow up to 7 working days for UK delivery, 10 working days for mainland Europe delivery & 14 working days delivery for the rest of the World. If an item(s) is/are out of stock you will be notified immediately and have the option to cancel (out of stock items are usually dispatched within 14 working days). If your order status is 'Awaiting Dispatch' then it may be possible to amend it, please contact us. Goods returned for any other reason must be in pristine condition with labels attached and all original packing in tact. In order to return goods you must first contact us and return the goods within 14 days from receipt of the goods. UrbanPup.com will refund the purchased price of the item(s). We will re-imburse the postage paid when returning faulty items only up to the value of the original delivery charge. (Please note that this does not affect your statutory rights). If you require an exchange on a faulty item and we have stock available, you will not be charged again for delivery. If you purchase an item that is the wrong size we will exchange it for another size (or give a refund if no appropriate size is available) providing they are returned in an unused condition. We advise that all garments are hand washed separately in warm soapy water, reshaped and allowed to dry naturally.